Copied with permission from New Venturist. Written by Babs Carryer, serial entrepreneur and Adjunct Professor of Entrepreneurship at CMU. Origins. 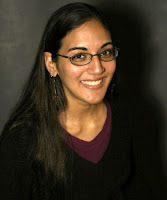 Seema went to a small college (Harvey Mudd) and took courses outside of her physics and psychology major in CS and robotics. She started a PhD program in robotics at Florida’s USF. She wanted to work on emotional expression in robotics. But she left after her masters because she realized that her interest was more in entertainment than research. One of the team members built software that enabled them to puppeteer the robot. The Guided Performance Interface (GPI) software allowed the operator to control much more than Quasi’s expression – they also controlled where he was looking, what he was saying, and how he moved. It was kind of an Oz behind the curtain, but it was wildly successful. A few weeks later, a child interacted with Quasi for 20 minutes, about 15 minutes more than usual. That made Seema wonder if there wasn’t some commercial value in Quasi relating to children. Startup. By January 2006, with graduation and job offers looming, Seema decided to jump into entrepreneurship, figuring that she could find a market for her robot. Three others joined, all of whom were involved in the 13-member school project. Interbots transitioned from a project to a startup. The team started out trying to create robots like Quasi but most of the business turned out to be events: “We did over 40 live performances. Kids came up to talk with him. We did that for several years, but that wasn’t a scalable business.” It was however, profitable. Autism. 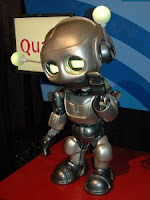 Several events had brought kids with autism spectrum disorder (ASD) in front of Quasi and Seema noticed that these kids responded to the robot. She recognized something powerful and therapeutic for ASD kids. But, at more than $50K to build, Quasi’s cost was an issue. 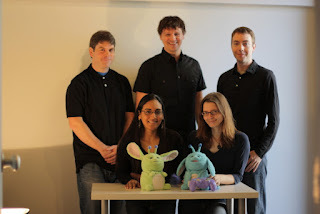 Seema had a different thought, “What if we did a robotic toy?” Thus Popchilla was born. In 2008, Innovation Works, a regional economic development organization awarded Interbots a $25K grant to create a prototype, software, and a website so that kids could share stories with others. An additional $157K of funding came from The Technology Collaborative. The team outsourced manufacturing to China to get a commercial prototype. The company also received $40K seed funding from Idea Foundry, another economic development organization that supports companies at the earliest stages. About one in 100 children is diagnosed with ASD. That’s 400K children in the US alone. Seema’s goal is worldwide distribution to the ASD market. And that’s a sizable number. Interbots today. 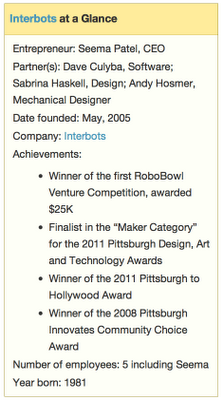 In the fall of 2011, Interbots took first place at the first national Robobowl competition, winning $25K. Seema would like to raise $1.5M to conduct additional user studies and do a real launch. The product has come a long way. Interbots sells a bundled package: the robot, software, interactive website, and lesson plans for therapists and teachers. All of the data is streamed directly to the robot. Everything that makes Popchilla move comes from the device, an iPad or smartphone. Seema tells me, “You don’t need to change the robot itself. That means that we can take the same robot used in the ASD market but target it to other special needs markets. 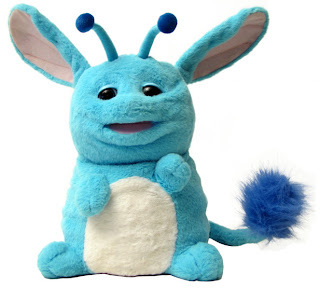 Maybe eventually we can get to the general consumer robotics space.” Seema envisions Popchilla selling as a retail toy for under $150. Time – The company is going on five years but is just getting out of the gate in a dubious commercial marketplace. It’s very satisfying to Seema and her team to make a difference for children suffering from a terrible condition, but can she make a strong business case for this entry point? It has taken a lot of time to get here and the road ahead still looms long. For Seema and Interbots it has been quite a journey. And it’s only just beginning!